It’s been pretty dry lately, we haven’t had any real precipitation in 3-4 weeks, but that’s about to change. 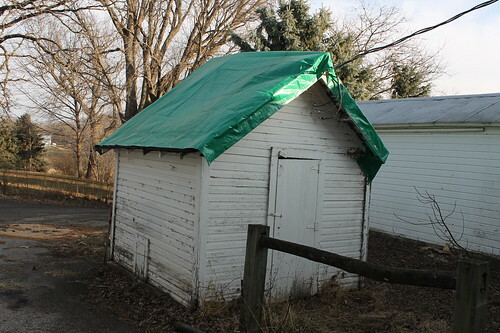 So I figured I’d take advantage of the unseasonably warm weather and put some tarps up to keep the two worst roofs on the farm out of harms way during the winter. 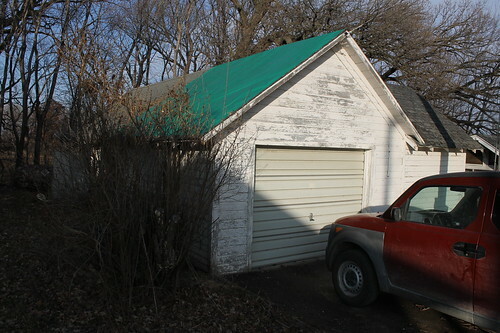 Not wanting to sink a lot of money into repairing roofs that we don’t yet own, tarps will keep the buildings from deteriorating any further until spring, when steel roofing will be the order of the day. First up: The Farm Store. They’re ugly, but at least they won’t be getting any more water damage. 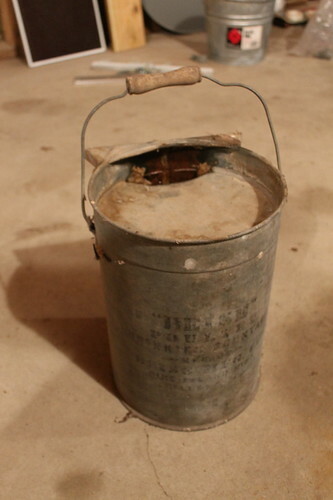 I had to rip a bit of the roof off of the wellhouse to get the tarp fastened down well, and in so doing I noticed a small galvanized bucket hanging on the wall in the back corner. I pulled it out, dusted it off and found out that it’s a poultry fount. And except for a pinhole in the bottom, it still works like a champ. After brushing off the dust I could make out the lettering that’s stenciled on the side. I was pretty surprised to see that this particular waterer was manufactured a mere 5 miles away! 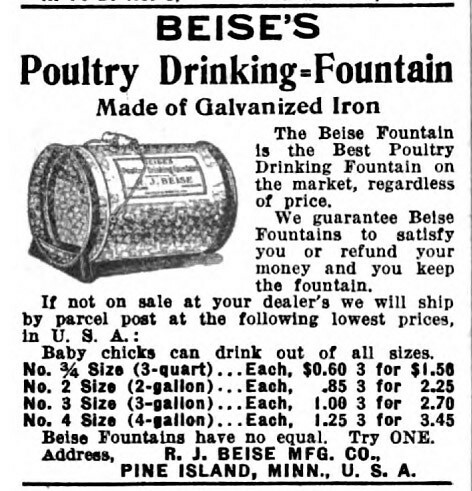 Although I couldn’t find any information about the Beise Manufacturing Company, R.J. Beise sure enough held a patent on this Poultry fountain design. 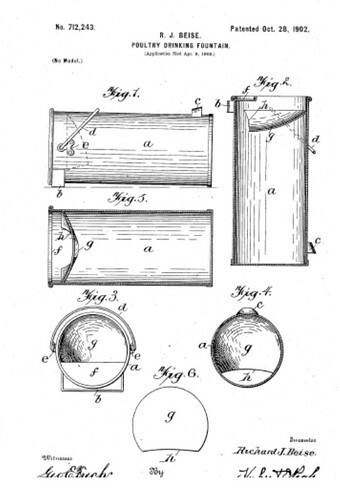 US Patent #712243, October 28 1902. Awarded to R. J. Beise of Pine Island, Minnesota. And here’s an ad for one that appeared in the magazine “Poultry Success” in 1918. If only I could go buy 4-gallon founts for $1.25 each! 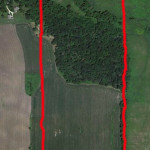 All-in-all a pretty cool bit of local agricultural history to stumble across. So neat Andrew that you are finding all that “stuff”. That old poultry fountain is interesting, have not seen one like it before. Are you going to patch it up and use it? Hope you get some moisture soon. 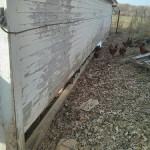 I don’t think I’ll end up using the “new” old poultry fountain. I already have several, and I think it’s more interesting as a historical artifact of sorts. But we’ll see how it all shakes out around Christmas. We’re going back home for a few days, and I might need the extra waterer to make sure the chicks don’t go without. Don’t know I could afford it, but if you ever decide to sell the poultry drinking fountain, I’ like to know. My grandmother married R. J. Beise (after my grandfather died.) 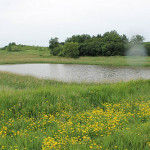 Her name was May Beise and we went to Pine Island from Milwaukee growing up to visit relative. All I have from R. J. at the moment is a plate from his Pine Island Shelf & Heavy Hardware store.